Hypnotherapy for Multiple Sclerosis. How does it work and what to expect? In what ways can hypnotherapy help individuals with multiple sclerosis deal with this disease? Hypnotherapy for MS can go much further than breathing exercises and relaxation tapes to reduce the stress of having MS. How? By helping you change how you think about the disease. That is key because stress is not caused by WHAT happens to us but by the ‘meaning’ we put to what happened. And the body reacts to that meaning positively (it’s safe and OK. Therefore we can relax) or detrimentally (life is threatening, and we are hopeless therefore we must be on guard). Hypnotherapy can help alter the meaning and how we deal with the diagnosis, the presence of symptoms, and day to day issues that come up. Many studies have shown that hopelessness and negative thinking is detrimental to our health and can make symptoms worse. When you change our thoughts and focus on what you can do and into positive steps to creating health, the sense of empowerment, confidence, and control can reduce inflammation and lessen symptoms. Additionally, you can be taught self-hypnosis techniques to manage the day to day issues, such as letting go of worry, curbing the self-judgment, setting boundaries with others and staying focused on the possibilities, as well as learn self-hypnosis techniques to reduce pain and spasticity. Can hypnosis mitigate the physical symptoms of MS, such as fatigue, spasticity, pain, tremor, and incontinence? Hypnosis for MS can help manage symptoms, but its strength resides in its therapeutic ability to address the psychosocial factors determinant in the onset and exacerbation of the disease (hypnotherapy). By helping to resolve the underlying psychosocial factors behind the disease, we remove a large part of what ‘fuels’ the MS.
Could you describe briefly and in layman’s terms how hypnosis works? Hypnosis is similar to meditation – a relaxed state of inward focus. However, while in meditation you stay in that state and try not to think of anything… in hypnosis, we utilize that state to access information from the subconscious, such as memories, emotions, and triggers. That state of imagination can influence our unconscious beliefs, mindsets, and behaviors. Hypnotherapy for MS. What is a session like? What should someone expect? Use gestalt therapy in a trance to talk about the symptoms or disease to understand what it is reacting to and what it needs. Use regression therapy to go back to when the condition, emotion, trigger or symptom began. Then do inner child work to resolve limiting beliefs, grief, guilt, trauma or other adverse childhood experiences that the body and emotions are still reacting to. How many sessions might be necessary to begin seeing an effect? After only a few sessions of hypnotherapy for MS, there is a greater sense of inner calmness and control and can be a lessening of symptoms. Deeper work on core beliefs and adverse childhood experiences (ACE) can take an average of 9 months (90-minute sessions twice a month). Can clients be trained to use self-hypnosis to help them with their stress or with other symptoms? Yes, definitely. One of the goals of hypnosis is to empower the client to be able to manage their symptoms, emotions, and triggers. Is there anyone for whom hypnosis is not a good choice of therapy? It is not recommended for those suffering severe mental health issues, such as schizophrenia and multiple personalities. Also, hypnotherapy is not a panacea and is not a good choice if you are only looking for a one-stop solution. It should not be used in isolation. Clients must also be addressing the physical factors, such as toxins, food intolerances and environmental triggers with a skilled practitioner. You can find information on the physical factors in the Creating Health Series. What would you say to those who may be reluctant to try hypnosis, skeptical about it, or who believe they can’t be hypnotized? Hypnosis is a natural state we go in and out of all the time. When you first wake up and are still minimally remembering a dream, you are in hypnosis. When you are on the edge of falling asleep and worrying about what might go wrong, you are in hypnosis. Daydreaming while driving is also hypnosis. For those that aren’t sure if this will help their disease – I always tell them that chronic disease is not viral but produced in the body by the body in reaction to environmental overloads (both physical and mental)… The subconscious mind is responsible for all the functions of the body as well as the keeper of our beliefs and memories. 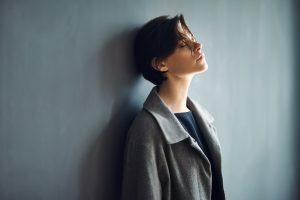 What better method to address the symptoms and what the body is reacting to than by working with a technique that focuses on the subconscious mind? What should one look for when choosing a practitioner? As with coaching, some hypnotherapists have only taken a 10-day course and already begin working with clients. For something such as multiple sclerosis where there is clear evidence of psychosocial factors behind the onset and evolution of the disease, you want to work with a practitioner with training in not just pain and stress management but also in regression therapy and parts work. Also, you want to work with a practitioner willing to work with you for at least six months to get to the deeper cause of the disease to create lasting change. Hypnotherapy can help with MS. It requires a trained practitioners and a proactive client.